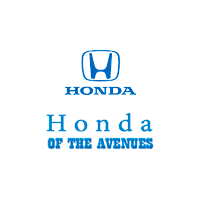 Lou Sobh's Honda of the Avenues makes it easy to find the used model you want at a fair price. We have plenty of used Honda vehicles in stock, used cars from other brands, and a rotating selection of used vehicles on sale. After you’ve browsed our pre-owned inventory online, make your way to our dealership in Jacksonville for a closer look! Recent Arrival! CARFAX One-Owner. Black Cloth. CALL TODAY TO CHECK AVAILABILITY AND ADDITIONAL OPTION. Awards: * ALG Residual Value Awards * 2016 KBB.com Brand Image Awards 2016 Kelley Blue Book Brand Image Awards are based on the Brand Watch(tm) study from Kelley Blue Book Market Intelligence. Award calculated among non-luxury shoppers. For more information, visit www.kbb.com. Kelley Blue Book is a registered trademark of Kelley Blue Book Co., Inc. Recent Arrival! CARFAX One-Owner. Clean CARFAX. 7 Year / 100k mile Honda Certified Warranty, Honda CERTIFIED FACTORY WARRANTY 7 YEAR / 100K, Gray Cloth. CALL TODAY TO CHECK AVAILABILITY AND ADDITIONAL OPTION. Awards: * 2017 IIHS Top Safety Pick (When equipped with Honda Sensing) * 2017 KBB.com 10 Most Awarded Brands * 2017 KBB.com Brand Image Awards 2016 Kelley Blue Book Brand Image Awards are based on the Brand Watch(tm) study from Kelley Blue Book Market Intelligence. Award calculated among non-luxury shoppers. For more information, visit www.kbb.com. Kelley Blue Book is a registered trademark of Kelley Blue Book Co., Inc. Recent Arrival! Clean CARFAX. 7 Year / 100k mile Honda Certified Warranty, BALANCE OF FACTORY WARRANTY, CLEAN CARFAX REPORT ONE OWNER, Honda CERTIFIED FACTORY WARRANTY 7 YEAR / 100K, LOCAL TRADE-IN, Black Cloth, 160-Watt AM/FM/CD Audio System, 19" Alloy Wheels, Air Conditioning, Automatic temperature control, Brake assist, CD player, Delay-off headlights, Electronic Stability Control, Front dual zone A/C, Panic alarm, Power door mirrors, Power driver seat, Power steering, Power windows, Remote keyless entry, Speed control, Speed-sensing steering, Spoiler, Steering wheel mounted audio controls, Traction control. CALL TODAY TO CHECK AVAILABILITY AND ADDITIONAL OPTION. Awards: * ALG Residual Value Awards * 2016 KBB.com Brand Image Awards 2016 Kelley Blue Book Brand Image Awards are based on the Brand Watch(tm) study from Kelley Blue Book Market Intelligence. Award calculated among non-luxury shoppers. For more information, visit www.kbb.com. Kelley Blue Book is a registered trademark of Kelley Blue Book Co., Inc.
Why Buy a Used Honda From Lou Sobh's Honda of the Avenues? With our varied stock of popular pre-owned cars, trucks, and SUVs, we’re confident that you’ll find a model you love within your budget. We frequently stock models like the used Honda CR-V and used Honda Accord, and we’re Jacksonville’s Honda Giant for a reason. We even can help with used car financing and other financing services. Have questions? Feel free to contact us about our used inventory before making your way from St. Augustine to take a test drive. We’re confident you’ll find the right car for your lifestyle, whether it’s a used Honda or a used vehicle from another manufacturer.